Common Nissan X-Trail problems | What Car? We look at common problems associated with the Nissan X-Trail. 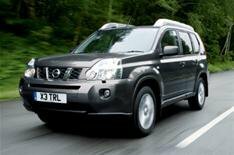 The Nissan X-Trail was launched in 2001 to rival such SUVs as the Honda CR-V. It was an attractive proposition, combining Japanese reliability with genuine off-road capability and generous interior space. The first-generation X-Trail was available with either a 2.0- or 2.5-litre petrol engine, or the 2.2-litre diesel that was the more popular choice. All models were four-wheel drive, and an automatic gearbox was available with either of the petrol engines. In 2007, Nissan launched the second-generation X-Trail. This was available with a 2.5-litre petrol engine, while the 2.2-litre diesel was dropped in favour of a smaller 2.0-litre unit. An automatic gearbox could be specified with the diesel model, too. Despite Nissan getting decent results in both the JD Power and What Car? reliability surveys, there are still things to be on the look out for when buying a used X-Trail. Got a problem with your car? Our team is here to help you solve it. Just contact the What Car? Helpdesk. Some cars built between early 2001 and September 2002 had issues that resulted in the engine stalling. This was caused by the engine angle and position of the sensors for the engine management system. Some cars built between July 1999 and December 2002 had a problem with their camshaft. The timing chain tensioner could become defective causing it to jam. Should this happen, the engine might stall or fail. If the camshaft doesnt turn properly, the brakes could be affected. Some cars built between June 2000 and November 2004 had fuel leak issues. The fuel tank filler tube is susceptible to rust around the mounting bracket. This has been known to create a small hole and cause fuel to leak during the refueling process. Some cars built between March and June 2007 had problems with their steering shafts. This could cause free play and noise within the steering system. Ultimately steering control could be lost. Some cars built between March 2007 and April 2008 had issues with their attached trailer hazard lamps. If a trailer is being towed, the hazard lamps would not illuminate. A number of cars built during August 2001 had issues with their airbags. The combustion rate of the airbag propellant could be too fast, causing excessive internal pressure during deployment. In extreme cases this could lead to a scattering of metal fragments. Cars built between August 2008 and August 2011 have revealed problems with their power steering. The casting for the heat sink on the power steering control unit was out of specification. In extreme cases, this could cause the power steering to fail. Nissan should have fixed this for free so check the work has been carried out. There have been reports of the turbo chargers going wrong on diesel cars. Its an expensive fix, so listen out for strange whistling noises from the engine. Other symptoms include a loss of power and smoke coming from the exhaust. The diesel particulate filter in the later diesel cars has been known to clog easily. Its usually associated short stop-start journeys, which dont allow the engine to heat up properly. This can lead to a warning light on the dashboard that can only be cleared by a dealer. If left, more expensive repairs might be needed. Some owners have complained about problems with the X-Trails electronics in later cars. There have been issues with the stereo, electric windows and the dashboard. Its important you check every function on your test drive and highlight any problems to the dealer before you hand over any cash. Most of these problems should have been fixed for free by Nissan, but should you come across anything, always bring it to the attention of the seller.